This was supposed to be the weekend that would clear things up in the Oscar race. Instead, it was a weekend that threw the race into disarray, sending one contender soaring and another faltering. Richard Linklater’s “Boyhood,” which was considered the leader of the race mostly by default even though it didn’t look anything like a typical Best Picture winner, had a chance to seal the deal but turned out to be a shaky frontrunner instead. And then at the SAG Awards on Sunday night, Alejandro G. Inarritu’s daring, dazzling “Birdman” won again, claiming the key ensemble-cast award that is SAG’s de facto best-picture award. This time it wasn’t a surprise, but it capped a very good weekend indeed for the movie. Two nights, one upset and a new frontrunner – but if you’re looking for closure or certainty, this year’s race will give you nothing of the sort. After all, if “Birdman” was now invincible, wouldn’t its star Michael Keaton have been able to claim the SAG Award for best actor over Eddie Redmayne? “Boyhood” and “Birdman” are two visionary movies in dramatically different ways, and both would be thoroughly unconventional Oscar winners. A victory by either one at the PGA would have made it the favorite, since that award is the only other honor to use the Academy’s unusual way of counting votes. The SAG ensemble award isn’t as reliable an Oscar Best Picture indicator (it’s gone to Oscar also-rans “American Hustle,” “The Help” and “Inglourious Basterds” in recent years), but the guild did seal a few solid frontrunners in the individual acting categories: J.K. Simmons and Patricia Arquette went into Sunday night as prohibitive favorites in the supporting categories for “Whiplash” and “Boyhood,” respectively. Their SAG wins were wholly expected, and so are Oscar wins four weeks from now. And for lead actress, Julianne Moore showed once again that despite being in a little-seen movie, “Still Alice,” she is the year’s clear favorite. But in the lead actor category, Eddie Redmayne scored an impressive victory for his portrayal of Stephen Hawking in “The Theory of Everything.” Michael Keaton’s performance as a desperate actor trying to save his career in “Birdman” had been a slight favorite – but if Keaton can’t seal the deal with a voting body consisting entirely of actors, can he do it with the broader Academy? So three of the four acting categories now have solid frontrunners, while the fourth is an exciting tossup. And then there’s the Best Picture race, which consists of a field full of movies with real strengths and significant weaknesses. Plusses: It won PGA, which is huge. And it won SAG, which isn’t as key – but coupled with its three acting nominations from the Academy, it means the actors who make up the largest AMPAS branch like it. Its director is one of the top two contenders for Best Director. Minuses: It didn’t get a Best Film Editing nomination from the Academy. The last Best Picture winner not to be nominated in that category was “Ordinary People,” in 1981. Plusses: It is a landmark accomplishment, a story filmed over 12 years by a visionary director who has never gotten his due from the Academy. Actors love it, and one of its actors, Patricia Arquette, will probably win for Best Supporting Actress. Minuses: It is a small-scale story that plays out over a leisurely two hours and 45 minutes, and the buildup calling it the frontrunner can lead to late-coming viewers being underwhelmed. It didn’t win the PGA, which has been a necessary step in recent years. And it didn’t win SAG. Linklater has never won an Oscar, but none of his past movies were the kind to make voters think they’d done him an injustice in previous years. Plusses: It’s the most conventional of the top contenders, the one that looks the most like a typical Oscar movie. It has Harvey Weinstein campaigning for it, which means no stone will be left unturned. It’s an inspirational true story and it’s being painted as a way to right some wrongs and recognize a hero who was treated badly. Minuses: It hasn’t won a single major award. Unless director Morten Tyldum wins the DGA award in two weeks, which seems unlikely, it will need to hope for the WGA to give it its sole major-guild honor, an extremely rare haul for a Best Picture winner. Plusses: It tied with “Birdman” for the most Oscar nominations, and it’s been consistently underestimated for all of awards season. It’s also a Wes Anderson movie; none of the director’s previous movies have even been nominated for the top award. Plusses: It’s the hot-button issue of the moment, and its six nominations made it the one of the biggest surprises of nominations morning. It came out in late December, which is when Clint Eastwood released “Million Dollar Baby,” which came on fast and late to win in 2003. Minuses: It’s the hot-button issue of the moment, but it has been embraced by conservatives more than liberals. Plusses: It has two acting nominations, and a triumphant story about real people overcoming odds. In many ways, it’s the closest thing to a typical, old-fashioned Best Picture winner in the race. Minuses: No Best Director nomination. If a Brit biopic is going to come out on top, it will almost certainly be “The Imitation Game,” which has more nominations and seems to have more cachet with voters. Plusses: It feels timely in the year of unrest in Ferguson and around the country. Its perceived snub at the hands of Academy voters could rally its supporters behind it. No acting, writing or editing nominations. Only two noms overall, which would make it the least-nominated Best Picture winner since “Grand Hotel” in 1932. The same Academy voters who snubbed it are the ones who are voting in the second round, too. Plusses: It has a likely Supporting Actor winner in J.K. Simmons. Everybody loves that a little Sundance movie from first-time director Damien Chazelle crashed the big party. It’s the scrappy little movie that’s supposed to be happy just to be invited: see “Beasts of the Southern Wild,” “Winter’s Bone” and “The Kids Are All Right.” Those movies are feel-good stories because they get nominated, but they don’t win. So that’s where we stand: There are good reasons why none of the nominees can win. But one of them is going to win. Feb. 7 brings the Directors Guild Awards and Feb. 14 the Writers Guild Awards, the next real moments of truth. But given the landscape, even those likely won’t give us much clarity. 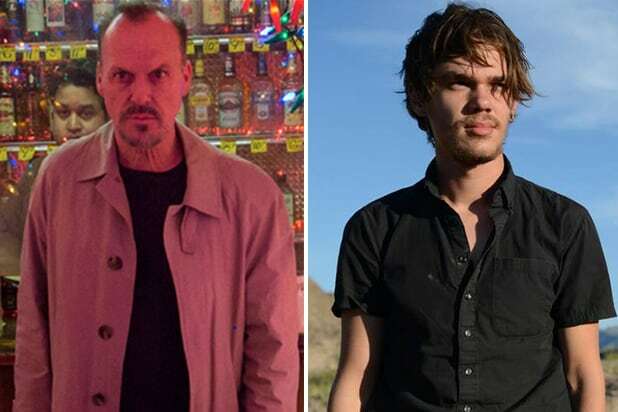 In the aftermath of “Birdman’s” big weekend, I’ll now give that film the narrowest of edges over “Boyhood.” But make no mistake, this is going to be a fight to the finish. We have ourselves a confusing mess of an Oscar race. Let’s try to enjoy it, shall we?